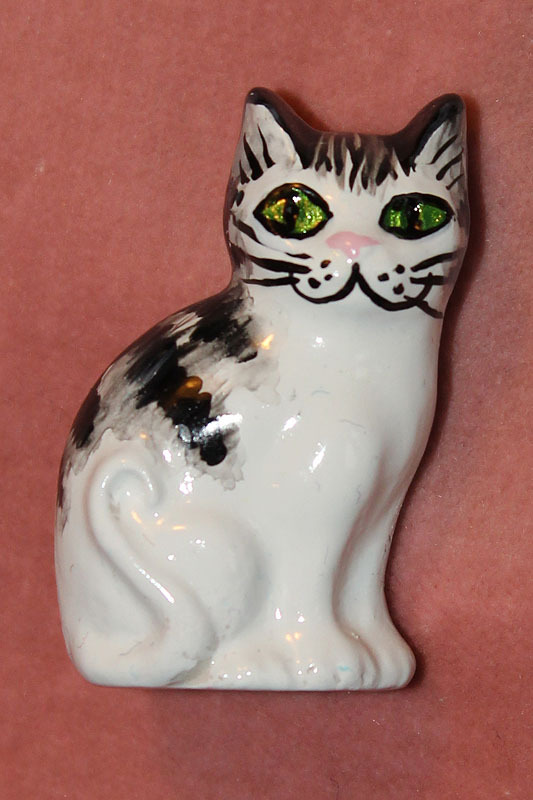 I noticed a very similar item to this back in November 2012. That time around it sold for £55.66! I wonder what this one will fetch this time around. 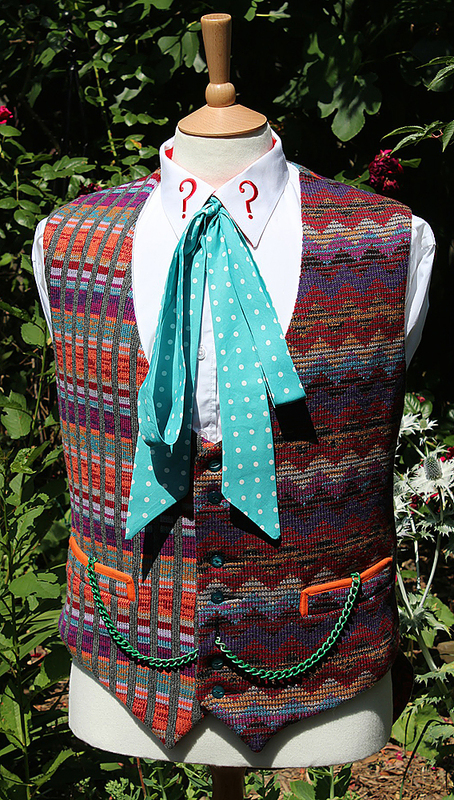 Up for auction is a strip of ticatape used in sils computer from trial of a timelord obtained from steve cambden who has signed it as well. Meanwhile, omeone is selling of their script collection on eBay this month, and here are the times relating to the Sixth Doctor. 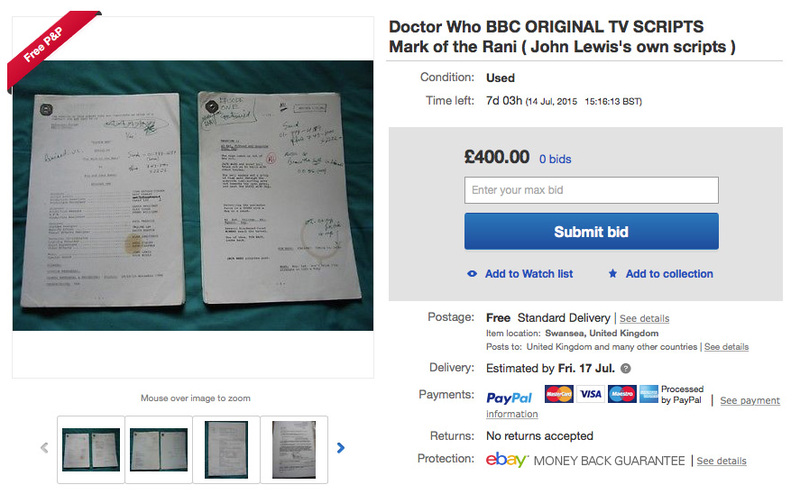 These scripts are from the story Mark of the Rani, ep 1 & 2 which comprise of four scripts split into two parts each. Also included is the production schedule, all contained in a dark grey BBC folder with Mark of the Rani written in biro. The Scripts are in good order, although shows slight pin rust, page wear, and have been production used with numerous corrections, quotes, telephone numbers and coffee stains ect..... most likely John Lewis himself no doubt. 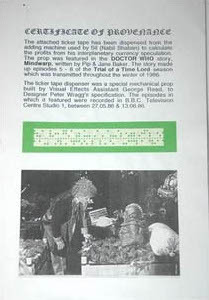 These items were obtained directly from the family of a sound engineer friend who worked with the late John Lewis on the show's music shortly before he became too ill resulting in his sad passing, who then was subsequently replaced by Jonathan Gibbs in 1984 to finish off the music, although some remained as tribute to him which can be heard in the special features of the DVD release. 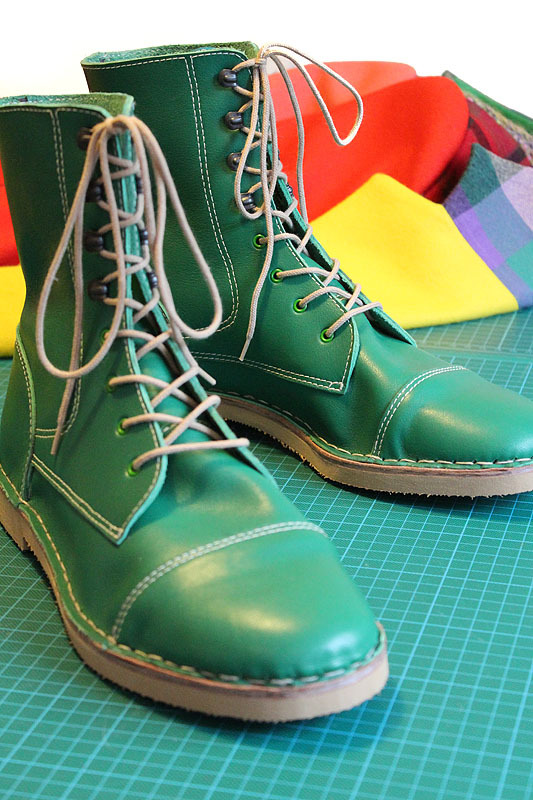 "I must emphasise that these are production used, his own personal scripts whilst working on the show's music. I have also for provenance a copy provided of the original BBC contract stating how much he (John Lewis) was to be paid for minutes of music which will accompany this rare lot. 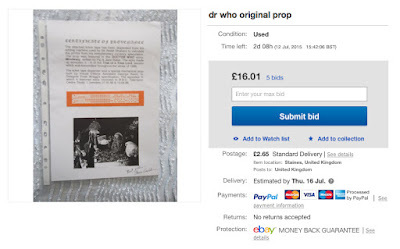 So don't miss out on this rare piece of Doctor Who memorabilia!" Reason for the sale is that as you can see with my other listings that I'm selling my whole collection after many years. It was fun obtaining them, sad to part with them obviously, but now it's time to move on. So watch out for further original scripts and goodies that will be listed soon. Update 5th July 2015: I've added some pics of the said John Lewis contract copy given to me by the family of the late sound engineer & friend of the late Doctor Who composer who both worked on the music at the BBC in the mid eighties and at Passion Music limited. 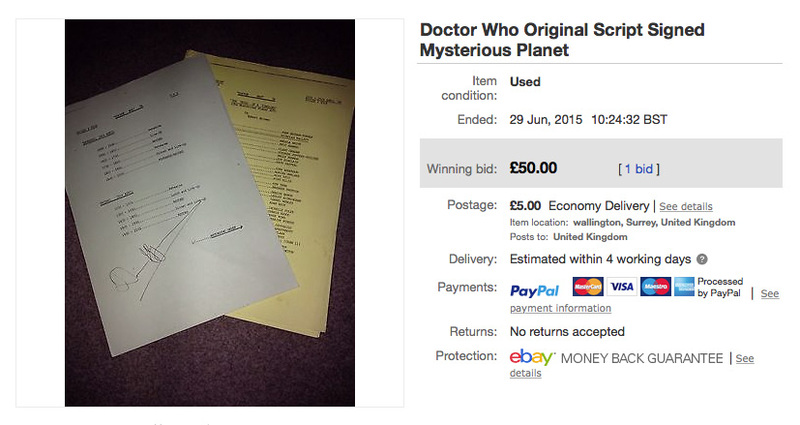 You are bidding on an original script from the doctor who story mindwarp. This script has been signed by Nicola Bryant and Brian blessed. The script contains the scene where peri dies. 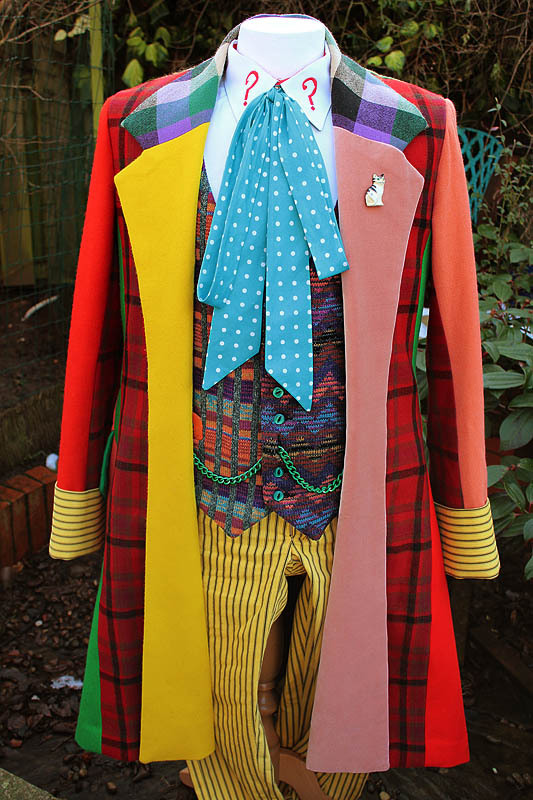 Great piece of who history. 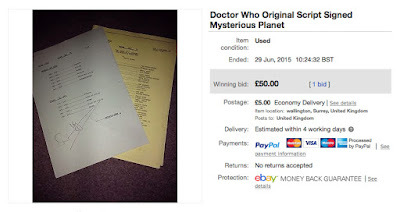 You are bidding on an original doctor who script for the studio session of mysterious planet. The script is 100 pages long . It also comes with a recording order script which tells you the scenes being recorded on the studio days this has been signed by Dominic Glynn. 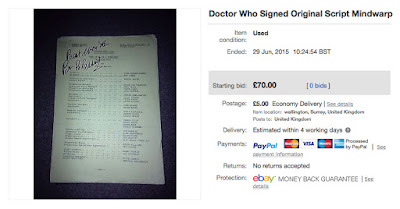 This is an original television script from the BBC Television programme Doctor Who. This script is from 1985 - episode 1 of Revelation of the Daleks starring Colin Baker. It is printed on white paper, which is rather faded. Please be aware that this paper is 30 years old, and accordingly is fragile. Please note this script relates to an episode which was 45 minute duration, so this is a thick document, well in excess of 100 pages. At the front of this script is a 2 page synopsis of both episodes of the story, but this sale is only for part 1.